My Morning Routine for Productivity. 7:10 = I wake up and get out of bed right away. I go to the bathroom and wash my face with cold water; the perfect way to properly wake up. 7:15 = I roll out my yoga mat and do some stretches and yoga for 15 minutes. Getting my body moving right away in the morning wakes me up and makes me feel productive right away. It’s also just a great way to maintain flexibility. 7:30 = After my stretches I head downstairs to the kitchen and make myself a big mug of warm lemon water. While the water is boiling for that I usually also down a big glass of water. After a long night of sleep your body is dehydrated and so it’s important to get plenty of fluids in in the morning. 7:35 = I head back upstairs with my warm lemon water and make my bed. I then sit down for a few moments and say some positive affirmations for the day, and voice my intentions for the day to come. This helps me start the day out right and also make clear to myself what I plan to accomplish that day. 7:40 = I then read my book for around 10 minutes. I like to activate my mind in the morning and so reading is a great way to do this. 7:50 = Almost an hour after I wake up I go on my phone. I spend around 15 minutes catching up on anything social media related and read the news. At the start of the past summer I set myself a goal of not going on my phone first thing in the morning and I’ve been really good at sticking with it. 8:05 = After I’ve finished my warm lemon water and have finished on my phone, I head back to the kitchen. If I am working in the office that day I’ll make my lunch first. If not, I’ll work on breakfast right away. My standard breakfast is oatmeal, especially at the moment as the weather is getting colder. 8:20 = Once my breakfast is ready I head to the living room and eat, usually whilst watching a YouTube video. I take my time eating and always enjoy this time. 8:40 = With breakfast done I’ll head back upstairs and get changed. No matter if I’m going into the office or if I’m staying at home to work, I will always get changed. 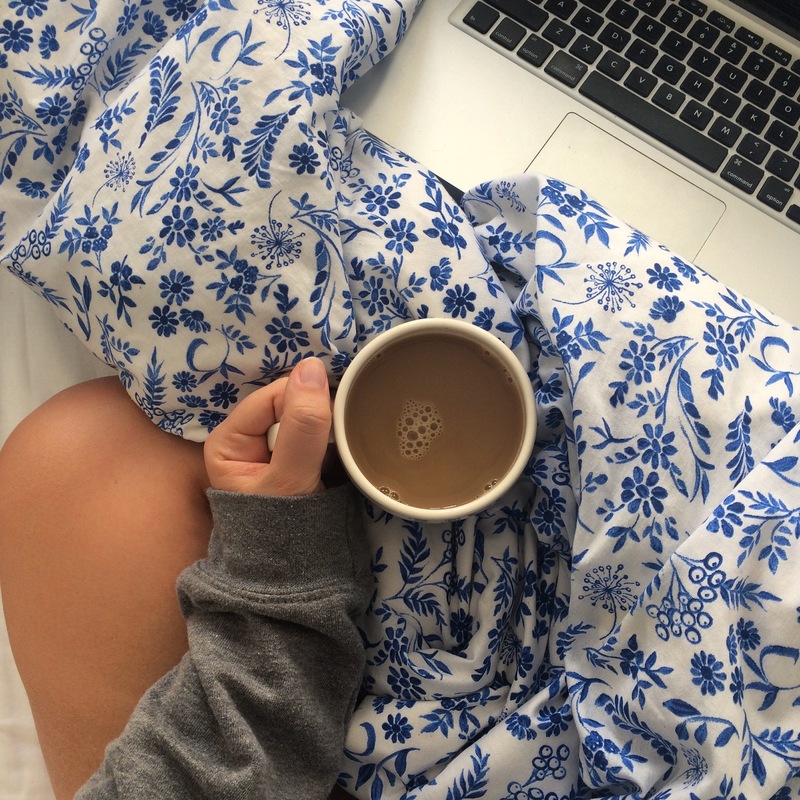 Getting out of your pyjamas changes your mindset to a productive one. 9:00 = Depending on what the day has in store, I get started. I’ll either head to the office, do some work from home or go to a coffee shop to get my work done. As you can see, my morning routine takes 2 hours. I’m someone that enjoys having enough time in the morning to take everything at ease and do things that make me feel good. My morning routine sets me up for a productive day and I’m very happy with how it’s working for me at the moment. I hope this was interesting! Let me know if you want to see more of these kinds of posts and answer me this in the comments: what do you like to do in the morning for a productive day?